The Arts Assembly – CPS is a programme of critical evaluations of the Chamber of Public Secrets (CPS), in its capacity as a curatorial team of Manifesta 8. An Arts Assembly (AA) is a reflexive model for cooperation in the creative field. It unites a diversity of actors in a new genre of formats based on participatory action through peer-to-peer platforms. One can imagine it as a self-constituting parliament. Each AA is structured and tailored to develop a unique modus vivendi for each unique context. In its work for CPS-M8 the AA will operate as a reflexive and critical organ. The membership of AAs includes artists, philosophers, writers, curators and other intellectuals and art-actors. The CPS AA at Manifesta 8 will include experienced members of the first Helsinki AA. It will “constitute” Charters to evaluate works and processes in public Assemblies. The early-stage list of participants includes: CPS (Curators at Manifesta 8 ), Perpetuum Mobilε, Parfyme (www.parfyme.dk, Copenhagen), S.a.L.E. (Venice) and Damian Le Bas (London)..
A documentary film by Perpetuum Mobilε for CPS-M8 will be co-produced by the AA with the Finnish-Iranian director Hamy Ramezan. for certain Chambers of the AA-CPS at M8. The overall goal of the Arts Assembly – CPS is to reflect, analyse, reformulate and critically represent the CPS process at Manifesta 8 through procedures which are both analytical and performative as new works and evaluations. 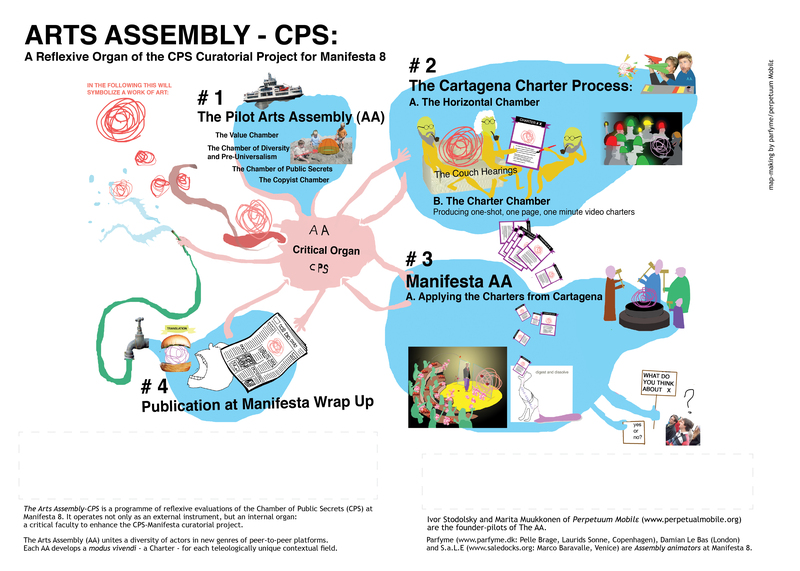 The Arts Assembly – CPS is a programme of critical evaluations of the Chamber of Public Secrets (CPS) in the context of Manifesta 8. 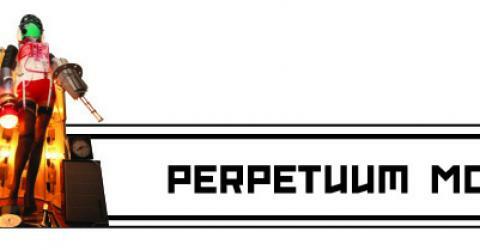 It is piloted by Perpetuum Mobilε. An Arts Assembly (AA) is a reflexive model for cooperation in the creative field. It unites a diversity of actors in a new genre of formats based on participatory action through peer-to-peer platforms. Each AA is structured and tailored to develop a unique modus vivendi for each unique context. In its work for CPS – in its capacity as a curatorial team for Manifesta 8 – the AA will operate as a reflexive and critical organ.